You'll probably forget something on your next trip. It might be as inconsequential as a pair of socks, or as important as lifesaving medication. But you will. At least that's what the surveys - and you - say. 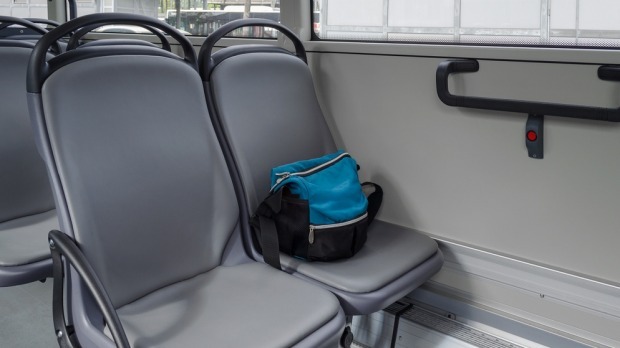 More than 8 in 10 travellers forgot something while they were on vacation, according to a survey by Minimus.biz, a company that specialises in travel-size products. The most commonly overlooked item? Toothbrushes, followed by clothing and shoes, toothpaste, toiletries, socks, hair appliances and chargers. "It was interesting to see the age of the person determined which items they forgot the most," says Paul Shrater, Minimus's chief operating officer. "Younger people forgot things like food, chargers and socks. Older people forgot things like medication, eyewear and shampoo." What is it about travel that makes us forget? And how do you prevent the kinds of oversights that can derail a trip? Seasoned travellers and memory experts have a few answers, and you'll want to remember them before you leave for your next trip. "My husband and I have been forgetting things more and more," Paula Parker, an administrative assistant from Atlanta, says in an email. "In the last month, we've left two items in the overhead compartment . . . my husband's sports coat and, on another flight, my fleece." Larry Waight says he has lost his fair share of things. The worst was his passport. He accidentally dropped it in a restroom at the Mexico City airport. "I almost missed my flight," says Waight, who works for a digital marketing agency in Belize and wrote the guidebook "The Ultimate Belize Bucket List." "Fortunately, I went back into the bathroom and found my passport on the floor." Waight developed two techniques to prevent a loss of travel documents. "When I'm at an airport, I check every 10 minutes to make sure I have my passport with me," he says. He also uses a smartphone app called Evernote to store reminders and to-do lists. "I write down everything I will need for my trip to not forget it," he adds. There's a scientific explanation for our absent-mindedness. "People are more likely to forget something if the activity is not part of their routine," says Douglas Scharre, director of the division of cognitive neurology at Ohio State University's Wexner Medical Centre Neurological Institute. "It takes extra effort in our brain to complete all necessary tasks if our routine is disrupted, such as when travelling. In our busy lives, we rely on our routines to get up, get dressed, groom, and out the door to work. We are often in automatic mode." When you travel, you're not in "automatic" mode - and are more likely to forget something. People also forget things because there's so much to remember. It's not just your itinerary, food, electronics and carry-on, but also what to do with it all. Now that you're at the airport, which terminal? Which gate? And once you're at your destination, try remembering the WiFi password at your rental house or your hotel room's number. It's no wonder people leave chargers and toothbrushes in their rooms. They have a lot on their minds. At the Pechanga Resort & Casino in Southern California, guests left 37,243 items in rooms last year, says Shirlene Orr, the lost-and-found property officer. Cellphones were at the top of the casino's most-forgotten list, with 4,754 devices left in guest rooms in a year. Half of them find their way back to their owners, she says. I know how those guests must feel. You name it, I've probably left it in a hotel room. That includes a phone, a tablet computer, various chargers, an electric razor, several electric toothbrushes, every possible clothing item and, in one memorable case, one of my children (quickly recovered, of course). My method of remembering: Double-check everything, starting with your itinerary and ending with your hotel checkout. That means reading your confirmation screen twice and going through your hotel room twice before leaving. That usually works, as long as you're the last set of eyes in the room. I travel with three kids, who sometimes do their own "double-check" and leave an item in the room. Jennifer Aspinwall, who writes a blog called "World on a Whim: The Perfectionist's Guide to Spontaneous Travel," says the best way to remember is to forget. "On my first long-haul flight to Europe, I left my computer glasses wrapped in a blanket in the open middle seat," she remembers. "I was so mad at myself for forgetting something critical so early on in my travels, but it ended up being the best thing for me because I constantly checked and rechecked for my belongings every stage of the way for the rest of the trip." Brenda Avadian recommends keeping lists of basic travel data. "I add reservation information to my online calendar, weather-forecast links and the purpose [of the trip]," she says. Avadian, who advises family and professional caregivers for people with dementia, says the list can help people with memory problems when travelling. Technology can help jog your memory. That's what Alexandra Tran, a marketing specialist based in Seattle who travels three weeks a month, has found. She uses Tripit, in sync with to her Google account, to track hotel and flight itineraries. "Tripit does a great job notifying me about upcoming bookings that I often forget about. I am also able to consolidate my itineraries into one app," she says. Tran also uses Google Keep, a note-taking application, to make a list of items she has to remember. Scharre, the memory expert, says people often fail to use all the tools at their disposal. Take your phone, for example. Most travellers think that they should use the camera only for those lovely panorama shots of the Grand Canyon. But you can also take pictures of your hotel room number. "Or take a photo of the parking level you are on as you rush to catch the plane so you can find your car when you return," he says. When you're on the road, you may forget something - your brain can't handle all the new information. But a few memory-enhancing tools and habits can help you avoid overlooking something important.